dont go higher then 6%, stick with the 5%, I did 7% but the culture not growing, added water and the vinegar is slowly growing. Doing another batch soon, Cranberry. I don't know how to stick with anything. I'm keeping the jars in my kitchen and they are doing their thing independently from me. How do I know when is 5 or 6% anyway? Could you kindly point me to some reading material please/ Thanks. Others are probably there about too. Edited by Honey Badger, 03 November 2018 - 10:30 AM. 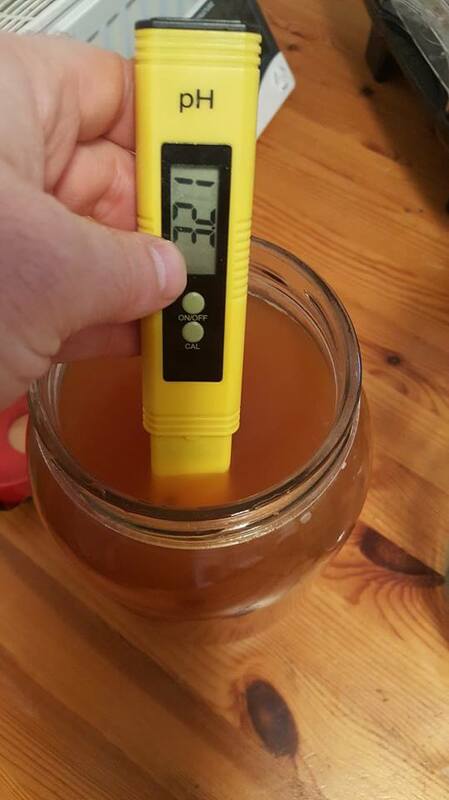 Well only when you start the batch and test how much sugar you put in their using a hydrometer, 1lb of Sugar per gall = 5% alcohol in general. It's too late for that now but even then, I wouldn't be so sure. There was some sugar in the juice, naturally but I also added few tablespoons on couple of occasions. Two jars (beetrooty one and other with just pulp) are getting their acidity and flavours just fine but the one which is pure pressed apple juice is still very sweet and that is of concern to me. It may only take longer to mature but I'm worried if it developed too high alcohol content, it will not turn to acid. if it goes to 7% then you might be out of luck. Hm, if it stays like this another month or so, I may start another batch with apple pulp and water and add (at least some) this juice? There's nothing wrong with it just yet, there's still time to be OK.
Edited by Honey Badger, 06 November 2018 - 11:33 AM. I had the same problem so I added water, it now is slowly getting a stronger vinegar smell, so you might try that. It's only about 6 weeks since I juiced the apples. I'll give it couple of weeks and if it's staying as is, I'll split it in two and add some water. Depending on the juice and not adding any sugar you should be in the 4-6% range. A hydrometer is cheap and easy to use. For vinegar i prefer to ferment fast and cold as possible. That means using EC1118 or the killer yeast K1V-1116. Both are very aggressive and tolerate cold well. You will have a bone dry cider in no time. Now you can either rack it off and add the mother or rack, pasteurize then add some additional apple juice concentrate and your mother. The AJC will add more apple flavor and a bit more sweetness. If you add AJC without pasteurizing it will keep fermenting the additional sugars. Save your Nottingham for a good drinking cider. Edited by ShowMeDaSauce, 02 December 2018 - 12:47 PM. Im not a big fan of either for hard cider but they are excellent for making vinegar. Plain old Redstar bread yeast makes a better hard cider. Montrachet, Cote Des Blancs and 71B are ok for a cheap cider yeast. All of them do better with some nutrients and/or FermaidK added to the must. Nottinghams is just too expensive to waste on a vinegar.